Our next Guest Chef event on Saturday, 18th August, to help raise funds for the National Kidney Federation (NKF). Renowned chef Tom Haste will be the next Guest Chef, as part of a series of special fundraisers for the NKF. 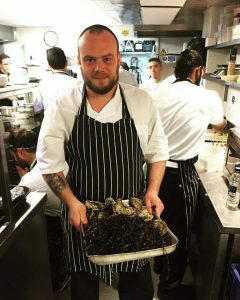 Tom’s two decades of experience includes working for Rick Stein in his famous seafood restaurant in Padstow, followed by six years of working in Edinburgh’s most notable restaurants, then a move to London to the Michelin Star Galvins La Chapelle. 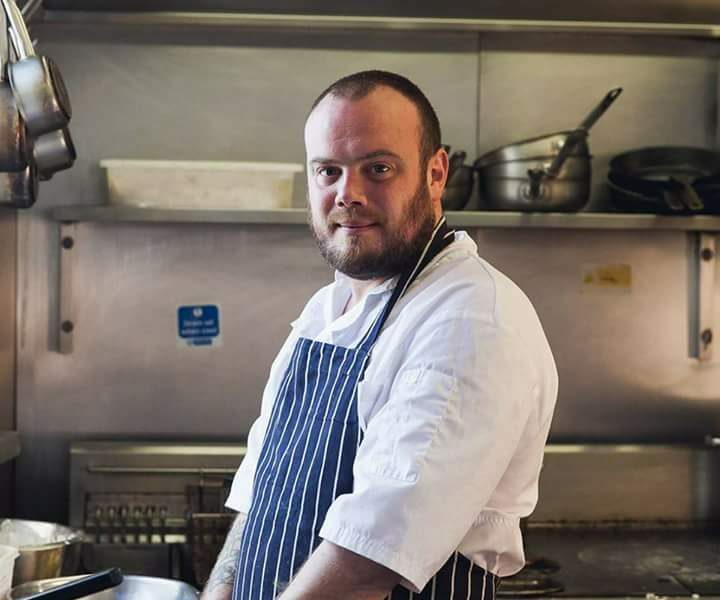 Currently he is head chef at The Lady Ottoline in Chancery Lane, recently named in the top 10 gastro pubs in London, where Greyfriar landlord Simon Brencher perviously worked with Tom. 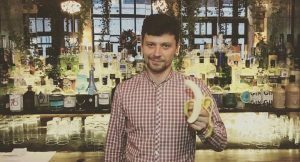 Benjamin de Vos, a drinks and cocktail expert from Bitter & Sweet UK, will also be presenting a special optional drinks pairing menu including a cocktail named ‘The Chawton’, with Ben talking about and entertaining the diners with the art of cocktail making. A raffle with a wide range of prizes will also help to boost the fundraising efforts for the NKF which is dedicated to creating awareness, prevention and treatment of kidney disease. One of the staff at the Greyfriar has also had experience of kidney disease in her family and Simon Brencher decided it would be the perfect charity for the pub to adopt. The five course Guest Chef event will be £45 per head and Ben’s cocktails will start at £7 each and the pairing menu will be £30. For more information and to book visit www.thegreyfriar.co.uk or call 01420 83841.